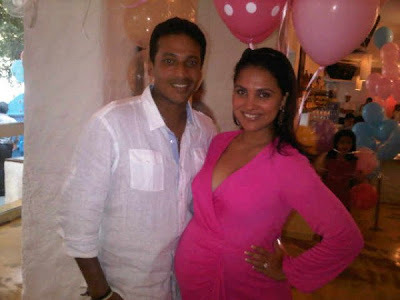 A baby girl child born in Lara Dutta and Tennis star Mahesh Bhupati's home. As Aishwarya gives baby lara also gave birth a baby girl child. Both lara & chid are safe. “It's a girl!!!!!!!!!!!!!!!!!!. Lara Dutta, I Love u....,” the 37-year-old tennis star wrote.